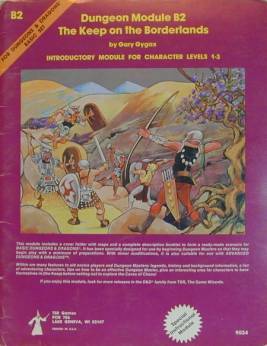 Module B1 The Keep on the Borderlands, was the first adventure for many D&D players in the eighties, since copies of it were included in several versions of the Dungeons & Dragons Basic set. 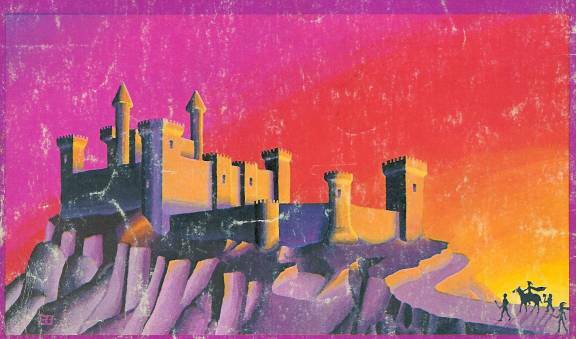 The first and second printings of The Keep included a total of five Otus illustrations, counting the back cover painting. For reasons not yet known to me, later versions of the module omitted three of the interior illos. 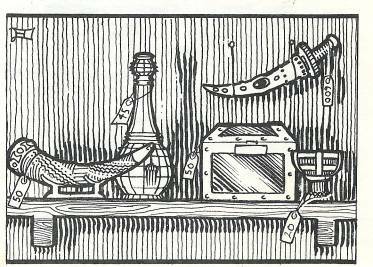 The above illustration is an accurate representation of several objects for sale at the Keep’s “loan bank”. 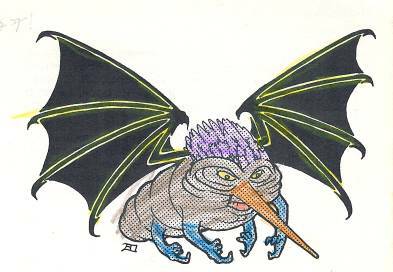 I find it unfortunate that such a useful picture was omitted from later printings of the module. 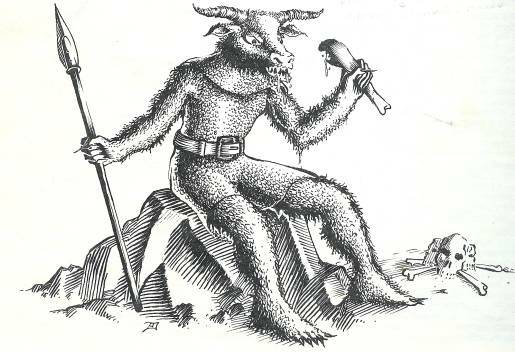 The above minotaur illustration accurately depicts the monsters as it appears in the module, armed with a spear and wearing chainmail. This illo was replaced in later print runs by a minotaur drawn by Bill Willingham. The third picture omitted from later printings. The crayon coloring by a later artist adds a bit of charm to this particular copy. 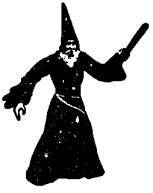 This illustration depicts the mad hermit in his abode. Unlike the first three pictures above, this one is retained in later printings. The back cover, retained in all printings. The sun rising in the east highlights the player characters approaching the keep at the dawn of their adventuring careers. The arrangement of the towers, the narrow approach to the keep and the dangerous cliffs all demonstrate that Otus paid close attention to the map of the keep and its description. It has been my experience that Otus generally sticks closely to his source material. The fact that he can produce such imaginative work while maintaining this strict ethic is a testament to his skills as a artist. Special thanks to my friend Don McKinney for loaning me his second printing Keep so that I could scan in the pictures missing from my own copy.